Savings.com Go to this site BEFORE you shop online, chances are you will find a coupon code. Shopbop.com has 100’s of items on sale EVERYDAY. Choose your savings from three SALE sections . 30%,50% and 70% off. 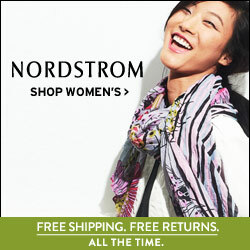 Neiman Marcus has a midday dash “timed sale” quite often, join their email list to get in on it. Flash Sale sites are amazing. Scroll down for links. Join your favorite stores Email lists and be the first to know about sales and promotions. When to get it all cheaper! Most online sales are like clockwork every year stuff comes in and stuff goes out, here is a month by month look at when to buy what you want on SALE! In store shopping tips: Know how to navigate stores!!!!! Big savings are almost always in the back, so don’t fall for everything you see on the way. Retailers want you to look through the whole store and pull items as you go, so they stock full price stuff on the way back to the sale rack. They want you to purchase in addition to what you came in for and will run you in a maze to make it happen. Join these flash sale sites ASAP!